Most people who enjoy essential oils are also interested diffusing them in order to enjoy the aromatherapy benefits. But often when getting started, they don’t know the best way to do this. They might start with a basic burner or fan type product and buy an inexpensive bottle of essential oil at the store without understanding much about the importance of quality or how to get the most benefits from the oils without changing the chemistry of what they are putting into the air. 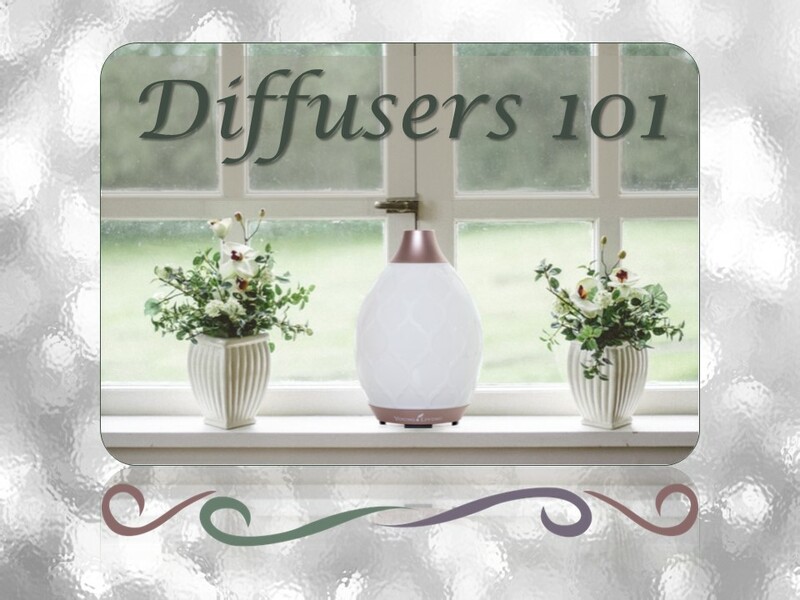 This month’s Share Scents newsletter will focus on diffusers: The different types of diffusers and how to use them; tips for cleaning and maintaining your diffuser; ideas for selecting or making your own blends; and more. Click this link to access the Diffusers Newsletter. Happy oiling from Share Scents! Have you heard of Raindrop Technique? I first learned about this amazing techique in 2004. I heard it was very special and I was curious. I searched for several months to find anyone who knew how to do it. I was a bit concerned and had a lot of questions, but decided to give it a try. I scheduled the suggested three sessions spaced apart by two weeks between each session. After the first session, I felt the best I had felt in over 15 years, and each time I saw more improvement. This led me seek out training in how to do the Raindrop Technique. I wanted to share this amazing new information with everyone, so I enrolled in an intensive training course. Since that time, I have shared Raindrop with many friends and family members. What is the Raindrop Technique? Well in one short sentence, it is a method of applying Young Living Essential Oils to the feet and back in a specific sequence utilizing several techniques from Native cultures. The result is both relaxing and invigorating. It is very supportive to the muscles and joints as well as the immune system. Application methods used during Raindrop Technique. You can purchase the Raindrop Collection and easily learn how to do it yourself. Here is a link where you can purchase the Raindrop Collection. 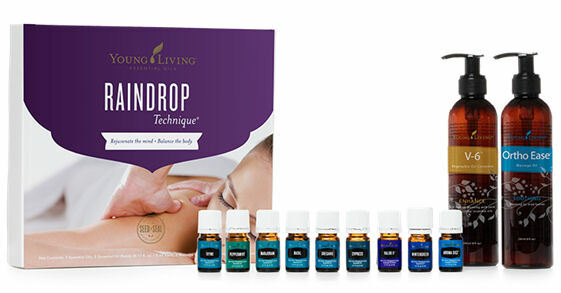 An instructional video is available at YoungLiving.com/Raindrop. If you would like to learn more about Raindrop Technique, you can request my “Raindrop Newsletter” by sending me an email request through my Share Scents website. I love sharing something that has had such a positive impact in my life. For the past several weeks we have talked about a few basic things everyone should know before using essential oils. 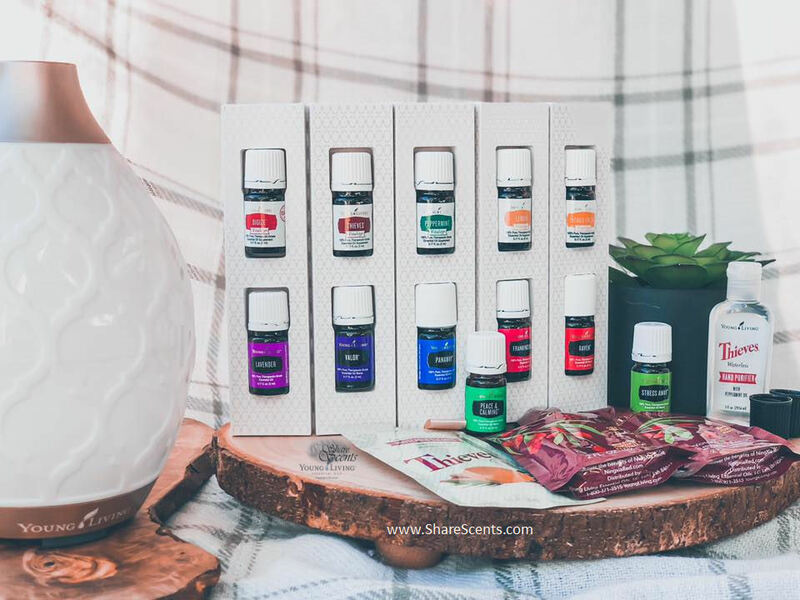 Now, let’s briefly look at 10 essential oils that are in my personal self-care kit and how they can be building blocks to support every part of the human body. PanAway – One of my favorites after exercise when my muscles are sore, or if I get a boo-boo that hurts! It has a safety cap, so that reminds you to use caution with small children. Copaiba – Supports overall wellness, before and after a workout especially on moving parts. It has a very light aroma, so is especially nice to use in a gym. 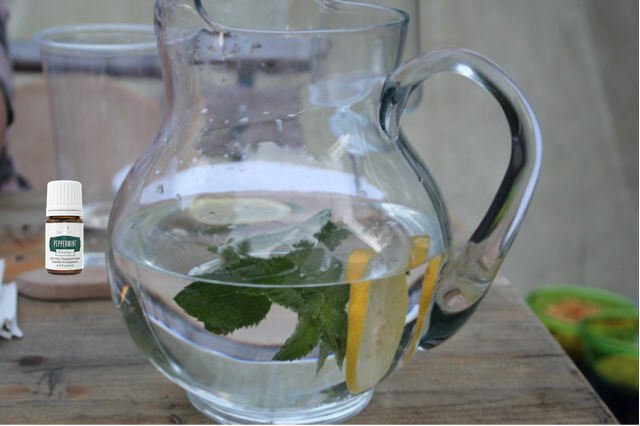 Peppermint Vitality – A great addition to your water. But remember it is very potent, so just one drop in a gallon of pure water is sufficient. If you have a gurgling tummy, take a drink of your peppermint water and then tap your cheeks. It’s amazing how good you feel after doing that! DiGize — Is very supportive to the intestinal system. Rubbing a drop between the thighs or on the abdomen provides comfort if you eat too much and feel a little upset. Thieves Vitality – A great dietary supplement to support overall wellness, particularly during times of the year when we need to enhance our respiratory system. RC – Makes a wonderful partner to Thieves to provide respiratory comfort. Diffuse it to provide a comforting atmosphere, or rub it on the feet or chest for direct absorption into the body. Asthmetics should use it on the feet and not on the chest. Lemon Vitality – This simple and lovely oil has so many benefits and uses, but one that is often overlooked is how it supports a healthy immune system by helping improve pH balance in the body. It is a great addition to water. 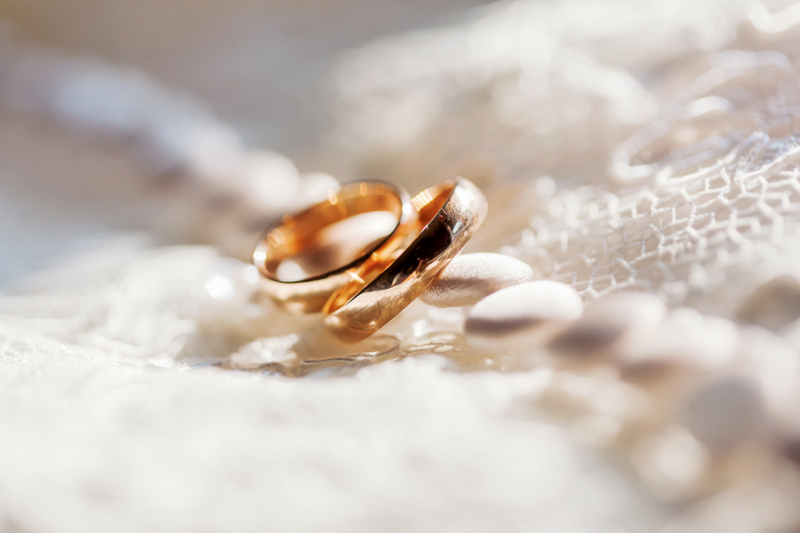 Purification – Breathing clean air is so important when thinking of staying healthy. Diffusing this oil is literally a breath of fresh air! Not only are you helping clean the environment, but imagine how it is purifying the inside of your body as you absorb it’s wonderful benefits. Lavender – Known for its benefits to promote relaxation, it can be a great addition to a soothing bedtime bath. The additional benefit is how supportive it is to the skin. There are hundreds of ways to use Lavender. These are just two ideas. Frankincense – The “king” of all oils. It is very widely used in many skin care products and seems to magically support the appearance of the skin. You can also diffuse or breathe it in to promote grounding and purpose when you want to connect with God. You cannot put a price on your health or your happiness. So why not check out these amazing essential oils and get them at a huge discount? Learn more in my newsletter called Journey with Essential Oils. You can request our copy by emailing me at Joyce@ShareScents.com.